Malumbe Shichilenge is a Program Officer at Fistula Foundation’s Zambia office. He is responsible for community sensitization, patient mobilization, and treatment referrals in Zambia’s Muchinga Province. Malumbe worked with the Zambian Ministry of Health as a lab assistant for 7 years prior to joining Fistula Foundation. 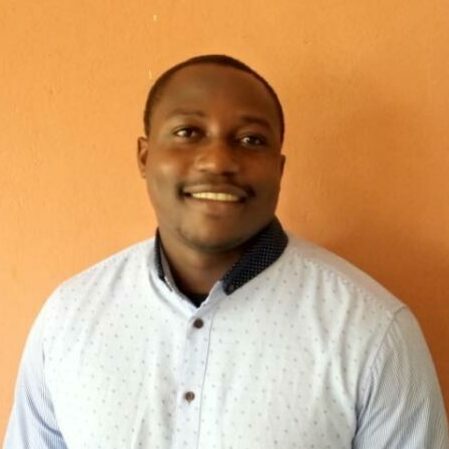 He also worked in the local community as a blood donor recruiter under the Zambia National Blood Transfusion Services (ZNTBS), helping the community understand the importance of donating blood. He heard about obstetric fistula in early 2017, quickly developed a strong interest in the area, and joined Fistula Foundation the same year. Malumbe holds a bachelor’s degree in Development Studies form the University of Zambia in Lusaka.